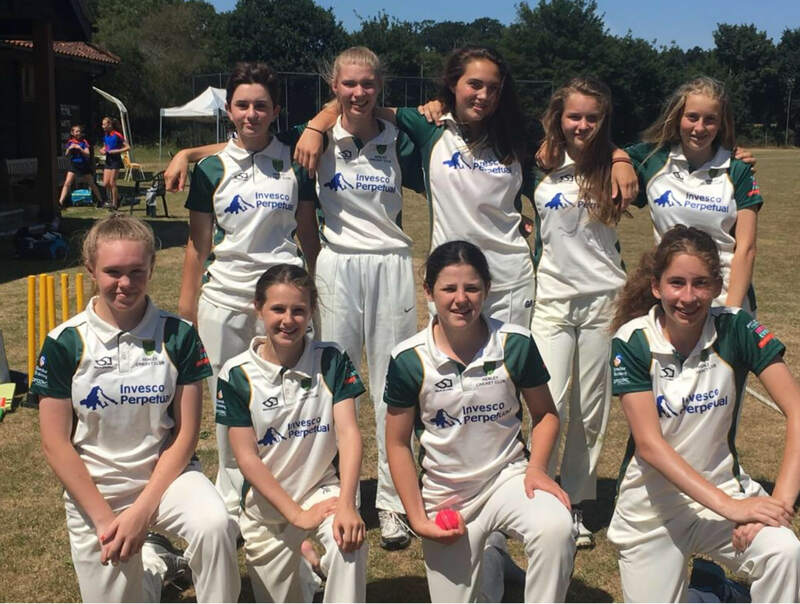 A superb team effort, on a stiflingly hot May afternoon, led Henley CC Women’s XI to a dramatic 3 wicket win over Spencer CC in Round 1 of this years Vitality National Women’s T20 Cup. Skipper Romilly Hayward won the toss and put Spencer CC into bat, knowing that a solid fielding performance would be required against a Spencer side boasting a handful of Surrey batswomen. A strong all round team performance kept Spencer to a target many felt was just ‘above par’, meaning Henley’s response would need to be top notch in order to chase it down. A game that swung back and forth throughout the day, approached its conclusion with Henley requiring 3 runs from the last 2 balls to secure victory. It was left to batters Brown and Swire-Thomson to complete the job, by scampering a quickly run 3 following a textbook late cut from Brown, sending the onlooking players and supporters into rapturous applause! A real early season thriller - Victory secured with one ball to spare, due to a real team effort, with valuable contributions from all the players in a tense, close encounter. Both teams are to be commended for the fabulous skill and entertainment on show and we wish Spencer CC the very best for the rest of the summer. Henley CC progress to Round 2 against Finchley Guns, a game currently scheduled for 20th May, but this is subject to final confirmation.